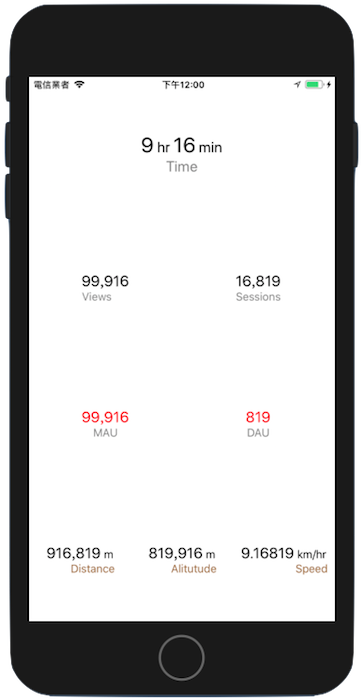 A simple stats view to build up a simple dashboard in app. A StatsView makes implementation of statistics UI easy. If you are using StatsView in your app and want to be listed here, simply create a pull request. StatsViewDemo is a simple demo app using StatsView. StatsView is available under the MIT license. See the LICENSE file for more info.